Join mickey and friends in a delightful dance off to classic holloween tunes. See rare coustumes of disney characters at their scariest, such as mickey as evil mickey from runaway brain, and goofy as zombie goofy from the new shorts. It will be a blast for all ages! BONUS: The new character will be spookster, a little mischievous ghost who likes to play pranks, the show starts with him transforming the beloved disney characters into their spooky forms. DOUBLE BONUS: Spookster will have his own special treat, a delicious angels food cake decorated to look just like the character. This show gives you sweet but suspenseful vibes in this hour long show where Maleficent takes you on a journey of her hometown Moors where you find fairies and discover darkness over the course of the play. This small production features Maleficent (obviously), Diablo/Diaval (both forms), your favorite fairies, Nicholas (bonus), and much more! 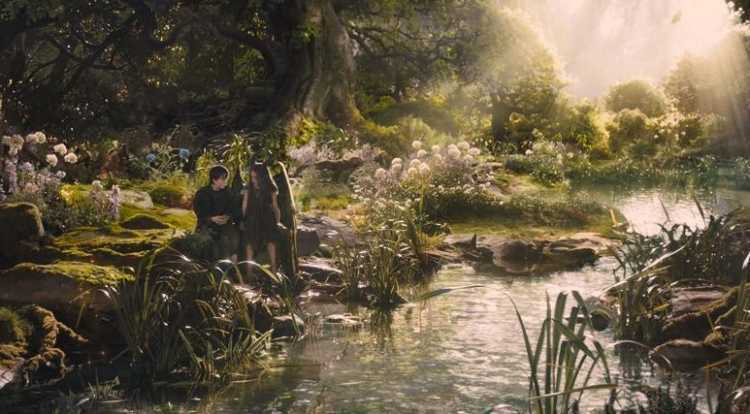 So join Maleficent and help her take down the darkness that overcomes Moors! From beneath the stage, as eerie lighting effects spread a feeling of spooky evil across the performance space and audience, a macabre structure rises composed of mangled, melted, deformed musical instruments- tubular bells, twisted keyboards, mangled organ pipes, all being played by The Skeletunes, skilled musicians dressed all in black with glowing skeletal bones affixed to their bodies. They perform a series of Halloween-themed songs- “The Monster Mash”, “Ghostbusters”, “Tubular Bells”, “Thriller”, and a medley of familiar television themes such as “The Addams Family”, “The Munsters” and “The Twilight Zone.” This combination of instrumental and vocal selections will make “The Scary Symphonies” a fun, silly and slightly scary musical entertainment guaranteed to bring the fun of Disney’s Not So Scary Halloween to the heart of Disney Springs. Inspired by the Blue Man Group concept, the Skeletunes mingle silently with the audience after the show for a meet-and-greet, posing for selfies with suddenly glowing red eyes and signing autographs with a stamp built into their skeletal hand that leaves the imprint of a skull-and crossbones, or a tombstone, or something unique to each individual Skeletune. Something terrible has happened to the Disneyland Monorail System. The mysterious, previously unknown “phantom” Mark XIII train, painted black and gray with streaks of red from past “collisions” has crashed and is lying mostly on the ground outside the Downtown Disney station, with the rear portion still hanging from the station above. Hanging from the open (and shattered) windows are skeletons of its unfortunate passengers, passengers trapped on the Mark XIII for decades, some still wearing their Mickey Mouse ears and Haunted Mansion t-shirts. Bone-shaped red velvet, cherry or vanilla wafers are coated in white chocolate and can be purchased in a variety of sizes and shapes, from bite-sized finger bones to larger bones such as femurs and hips and even as shareable whole-and-half slabs of ribs. Disney Springs has had some major improvements over the years, from name changes to whole theme changes. At one point, they even had nightclubs! The "mall" also celebrates holidays in their own ways. One holiday that is not hugely celebrated in Disney Springs is none other than... Halloween. Disney Springs: For this challenge, you have to create a Halloween Show that will go in or around the Marketplace Stage, which is across from World of Disney. Downtown Disney: For this challenge, you have to create a Halloween overlay for the monorail station. This can be anything from a meet and greet all the way to a new shopping area next to it! Disney Springs: As a bonus, create a new classic character for this Halloween Show. Note that it can not be something as easy as Black and Orange Figment, or Vampire Mickey. Downtown Disney: As a bonus, create a new food treat to serve in Downtown Disney, in stalls, or restaurants. It can not be something that may be served in other parks. You may use between 1 and 3 sentences and up to 1 image. For the bonus you may use 1 sentence. The deadline is Friday, September 28, 2018 at 10:59 PM EST. Critiques will come shortly after, with Challenge 1 being posted at 11:59 PM EST. K.I.S.S. – Keep it simple, silly. Try not to complicate or overthink things too much. It’s a simple, casual competition – there are no eliminations. Propose as you please! Does it accomplishes everything within the challenge guidelines? (The image was the closest thing I could find to visually expressing this idea). Halloween brings together many trick-o'-treaters in disguise, and none are more enthusiastic than the Frightful Friends, a trio of spooky OCs - the shy Sammy (Samhain), bubbly, bunny-eared Hop (Hop-tu-naa), and Patch the Pumpkin Dog, who are dressed as a blanket ghost, a witch, and well, a pumpking dog. But, there is something quite odd with these three, considering Sammy is floating off the ground, Hop has a real magical touch, and Patch reeks of candy and pumpkin guts - could they actually be creatures of the night? In this rollicking spooky musical show, the Frightful Friends celebrate all aspects of Halloween with a menagerie of friends, including the Lonesome Ghosts, Dr. Facilier, Oogie Boogie, Yzma, Stitch, Vanellope, and Vampirina, with new takes on classic Disney songs, including a musical number based on "The Skeleton Dance". 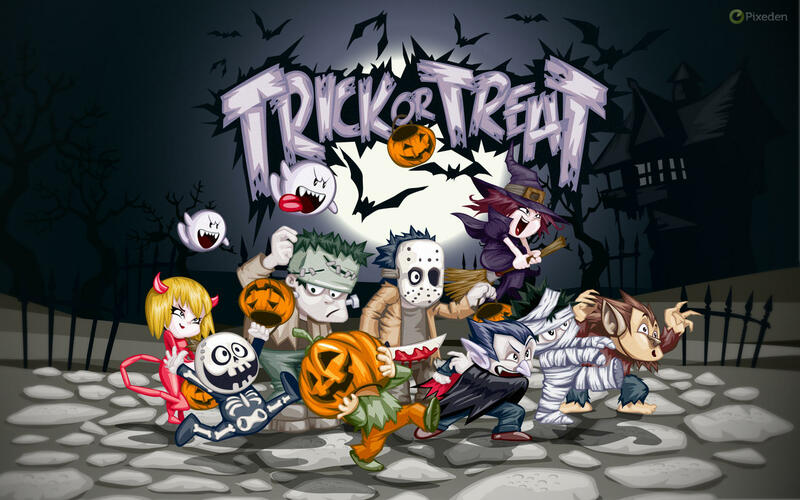 Bonus - Sammy, Hop, and Patch are all close friends, who may or may not be aware of each other's true nature, but share a love for fun, mischief, candy, and Halloween, and they are not alone in their fun. An exclusive meet-and-greet event that takes place at Downtown Disney's monorail station - Take a step back in time to an haunted station where the ghosts of train passengers and station staff have returned to hitch a ride on the monorails. Look out for Harvey Klochtique, the station guard obsessed with punctuality and being on time, the 19th-century ladies, Gosseep Sisters, always spreading ghost stories, and even catch the criminal Cecil Slipavay trying to make a snake oil sale and then fleeing onto the trains. The monorails themselves take on a retro feel, with old jazz musical playing over the speakers, as well as spooky announcements. Bonus - Madam Mim's Mad Cookies - Themed cookies each based on a Disney Villains, the Evil Queen (apple flavoured), Maleficent (grape/blackberry), Captain Hook (tropical fruits), Dr. Facilier (dark chocolate), The Queen of Hearts (strawberry), and Ursula (fish-flavoured...yes, really). coming to downtown disney is a limited vr ride themed to bald mountian. join the villagers as they and you try to banish chernobog back into the underworld, along with the rest of his minions. bonus - also coming to select restaurants at downtown disney are "the skeleton brunch"[in refrence to the animated short the skeleton dance], skeleton shaped marshmallows to eat. Villains have taken over the Monorail at Downtown Disney and they are hijacking your tour! The three main villains for this journey is Cruella (red) whose is looking for puppies to meet around the park, Gaston and Lefou (orange) who is looking for Belle while going around the park, and Ursala(blue) looking for magnificent voice to capture. Each monorail will have little villain decorations but not to big of a difference. Until your projects are due. The Journey of Jack the Lantern! This new show coming to Disney Springs will follow Jack the Lantern, a pumpkin who has somehow been granted life. Jack goes on a journey to find out what Halloween is about and why he has become alive. Along the way, he will encounter many creatures, including ghosts, zombies, vampires, and more! I get where you're going with this!! This sounds like a really cute show that could incorporate some bits for everyone. This proposal is short and sweet, which is not necessarily a bad thing, but I would like a couple more details. I like the idea of this, it sounds to me as though this is more of a light-hearted adventure. I like how we're bringing almost every monster into the spotlight. Either way, this is an understandable proposal. Great proposal!! Th 999 Happy Haunts have found and taken control of the Downtown Disney monorail station. The entire station will have statues of iconic ghosts from the attraction surrounding it, as well as the occasional ghost pianist who plays for the guests while they wait for their haunted monorail. The Haunted Monorail will be painted to be black and blue to represent the ghosts, as well as special on board audio and the occasional Hitchhiking Ghost riding with you. 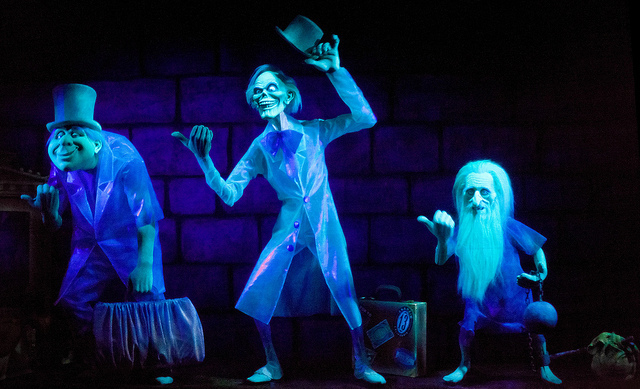 I was just waiting, WAITING for someone to do The Haunted Mansion. I like how even the monorail is being put into spooky use with this one. I think the ghost pianist is a nice touch, it would really make for a spooky station. I can imagine the collar being put up and the pianist turning around to give you the evil eye. If this were only true. I would love to see this. Great job!! joining disney springs is the musical themed to the tim burton classic, nightmare before Christmas. this musical will be about 58 minutes long and will every musical piece from the film. multiple life-like costumes and animatronics will be used for multiple of the characters too. bonus - in a collaboration with general mills, franken-berry and count chocula will be there during the halloween season. Nightmare Before Christmas has always been a creepy movie. It will always be that way. But I think bringing it to life would be very cool, though I just don't think it would fit into Disney Springs. I mean that I don't think a 58 minute long show would really be appropriate, especially for the area it is in and around; it's just too crowded. Aside from that, I believe that blending both live actors and animatronics is a wonderful idea. I've always loved animatronics, so I'm all for it. Overall, this proposal seems like something Disney would do, just maybe not in Disney Springs. Anyways, awesome job!! I think... I think... I think I peed a little after seeing that photo of Mickey. That photo is scary. Aside from that, I believe that this proposal could work, especially since it has some unknown Disney shorts. I, again, wish I had a little more to work with, but I see that you covered the basics in 2 sentences. You could have maybe used a third to go a bit more in-depth. The only bad part about this is scariness. In my mind I am picturing this being a horror movie-esque show, which could be frightening to some. Overall, this proposal worked, and I think you did a good job with it!! I truly like this idea. 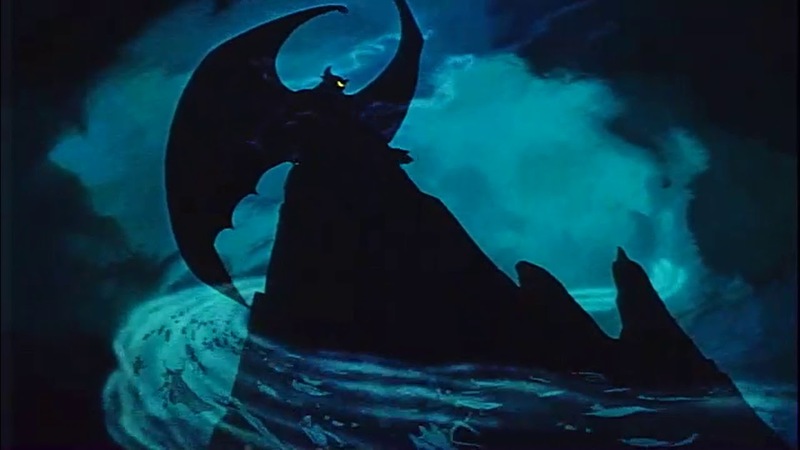 Maleficent is a great movie, and she is a great villain. But this as well falls into the category of not appropriate for Disney Springs, simply for the length. Another thing is that I wish I knew a little more about the plot. Like, I get we are finding fairies and discovering darkness, but I want to know more. You're proposal kind of leaves me hanging. I think this could really be a hit anywhere but on the stage that this is meant to be on. Overall, I can clearly tell this is a thought out plan, and you did a neat job with this one!! A Halloween Music Fest, I can dig it. I really like the vibes that are being set forth, and wow I just realized how much my sentences sounded like they were from the 70s. Anyways, I could totally see a group of skeletons (live actors or animatronics) rising up onto the stage and then start to play to their heart's content to different Halloween songs. This is very well thought out, and I definitely wouldn't have thought about it. Keep it up! You know, I just realized that XIII was 13. This seems really neat, although I have one question, is there really a Mark XIII monorail that would go around the loop? Or is this more a prop? Either way, I could see this happening, or at least painting the current monorails like what you described. I like the slight nod to the Haunted Mansion shirts... obviously with ghosts. This also would tie in with the Tower of Terror, if it were still there. Overall, great project with this round. Okay, okay, very nicely done. I love that you are bringing in classic Disney villains, and adding new characters into the bunch. I can imagine Patch the Pumpkin Dog, that would be so cute. I also like how this would be in the musical format, it would be very cool to see villains singing and doing the Skeleton Dance!! I'm just wondering, how long would this show be? Considering all it's offering, I'd say 15-20 minutes, which could be manageable. Great proposal!! The first VR experience on the list! I can see this happening. There's only one little thing, what exactly are we doing, and how exactly are we doing it. Are we interacting with the Villagers, or are we kind of just watching? This project keeps me a little stumped, but I can grasp at what you were trying to accomplish. I hope this is interactive with the guests, because this is just a great villain spooktacular! I love how you are saying that the villains kind of team up, hijack, and then set out to fulfill what they were trying to do in the movies. I can imagine this being interactive with guests, like where you'd go and find "puppies" hidden throughout the park (like Sorcerer's of the Magic Kingdom). I also like how you went to say that the monorails are going to be themed, but not to any great extent.